The Brick Castle: Gtech AirRam K9 Review - floorcare for people with pets. Gtech AirRam K9 Review - floorcare for people with pets. Until 2 weeks ago we had a tired 10 year old vacuum cleaner and a hairy carpet. 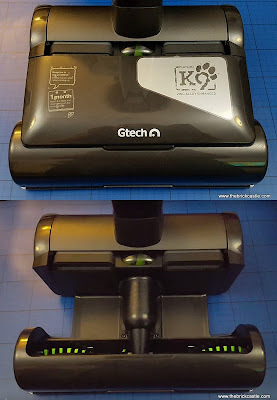 I felt it could be better, but had no idea just how much better until we got a chance to try out the Gtech AirRam K9. 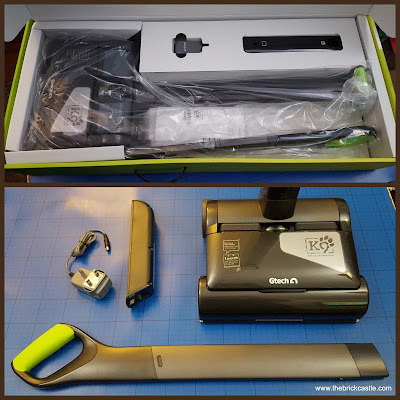 This is a 4 x 4 compact cordless stick vacuum cleaner which is especially designed for homes with pets. I can't actually applaud the AirRam K9 enough. It is handy, light, quick, easy to empty, the charge lasts ages and it actually does the job it promises it will. Our Dwarf Lop Rabbits shed more hair than you would ever think possible, I should take up knitting. 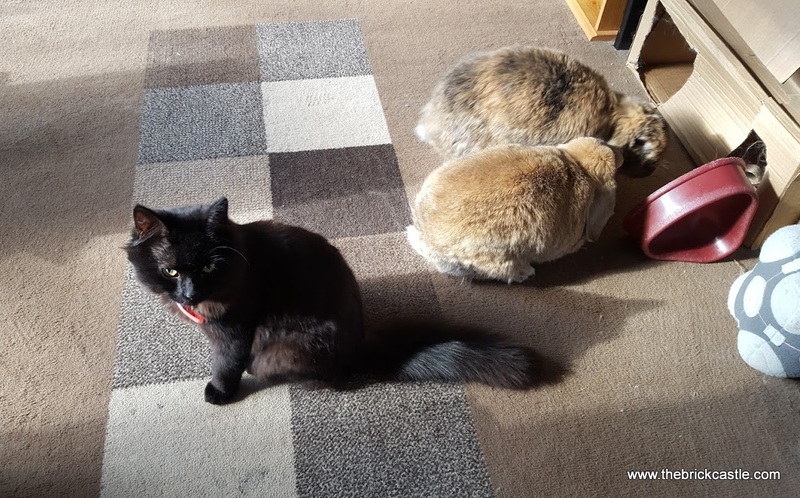 Two rabbits plus Gary the surprise cat means that our before/after photos are pretty striking. 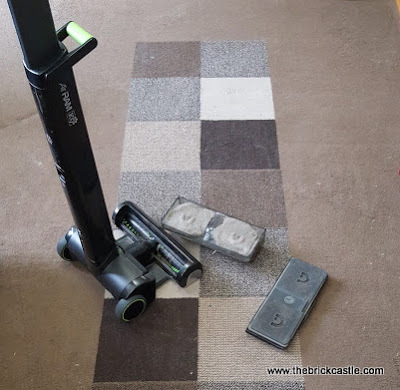 The Gtech AirRam K9 certainly lives up to it's claims to lift the pile on your carpet better than other vacuum cleaners and pull out more dirt and hair. I could always see where I'd vacuumed before, but never quite so distinctly! It is neatly packed in a box with a handle, and was not ridiculously heavy. A healthy adult could easily carry the AirRam K9 from the till across a car park to the car. A full charge takes up to 4 hours, but lasts 40 minutes, which I've found is plenty for a good vacuum and a couple of whip rounds. Power doesn't dull, it's either working or not, which I like a lot. It means you aren't uselessly wasting time walking about your living room pushing an ornament. Care of your Gtech AirRam K9 is genius and again makes it really handy for people with limited mobility or strength. The entire front box section lifts straight out, then splits into a top 'lid' containing the filters, the bottom bin holds your waste. The way the waste collects is genius. 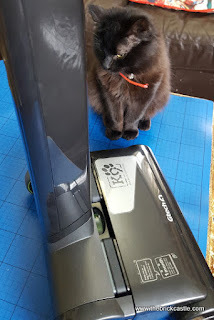 If you are like us then you have to rescue treasure from the vacuum cleaner as you empty it. Previously, once a fortnight I'd go outside and rake through as I poured as much as possible into the bin and I'd regularly have 2 weeks worth of detritis blown all over me by the wind. With the AirRam K9, wow. Seriously wow. 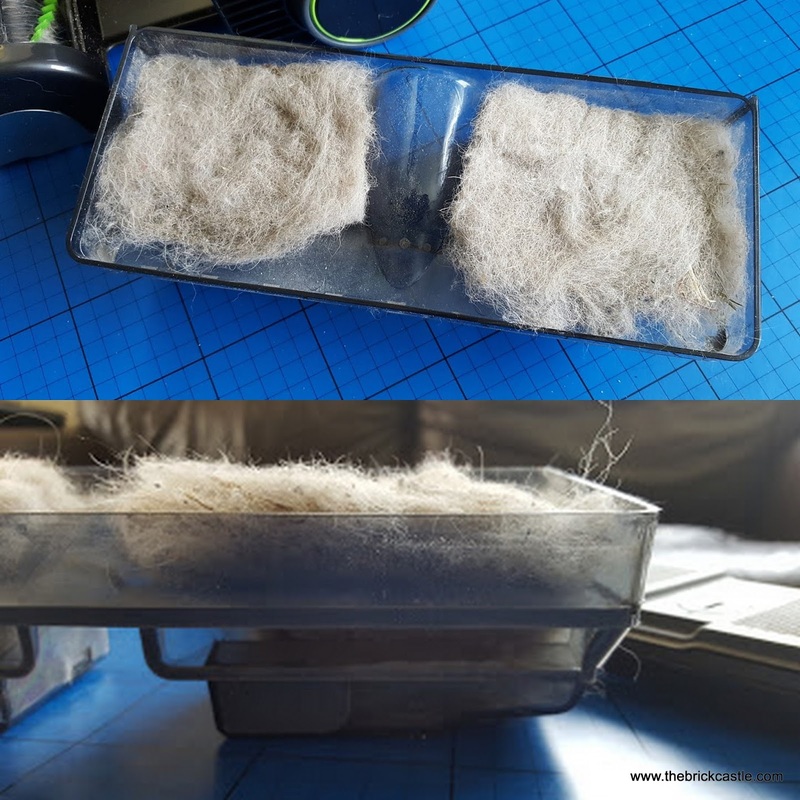 Every couple of times I vacuum I lift the waste bin out and lift out the fluff, leaving the lumpy and large bits you've accidentally picked up lying in the tray to tip out. 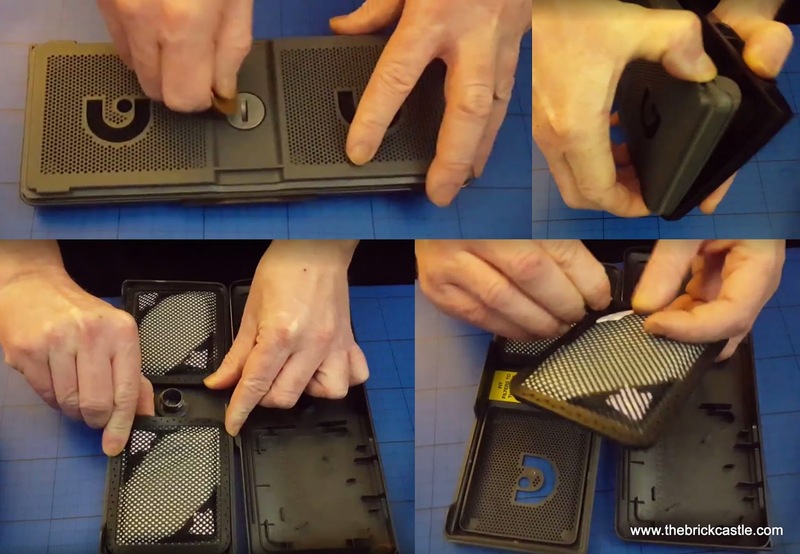 No more being covered in dirt, no more heavy lifting and no more LEGO in the wheelie bin!! The brush bar is designed to avoid pet hair clogging, and we certainly haven't experienced any. There is a very neat slot along the brush bar to insert a pair of scissors to cut away long hair that's been caught. So simple, so useful. The AirRam K9 itself is so lightweight and simple to use, it's ideal for people who aren't so physically able. I'm a mess myself after damaging my knee and having major abdominal surgery, so I haven't been able to lift a vacuum up the stairs in a while. 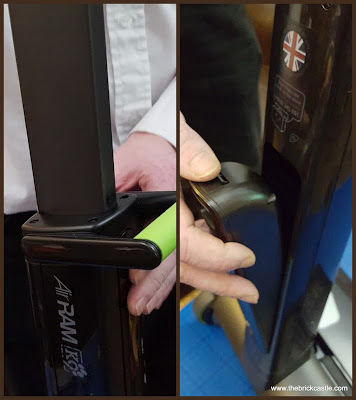 The AirRam is very light and easy to carry, plus the small head means you can rest it on a single step and it won't be in danger of overbalancing. Being cordless is a real advantage to me when I do the carpets upstairs. Previously moving from room to room was a pain - now I can do the whole upstairs in one charge without searching teenage bedrooms for plug sockets that aren't already in use. The handles have a nice soft grip which feels great even after 20 minutes, and the handle swivels and tilts seemlessly, so manoeuvrability is brilliant. The hardest bit about pushing the AirRam K9 is the suction it sometimes gets on the carpet. 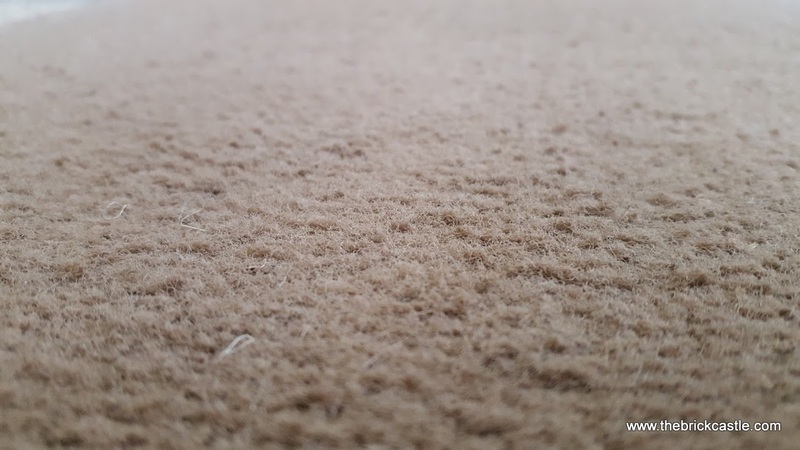 I posted the following photo on my Facebook page last week, and got this comment - "How is your carpet so clean with the bunnies? My guys trashed ours". The truth is until now our rabbits had totally trashed ours, and this is the first time I've been proud to post a photo showing my carpet since the day we bought it. I vacuumed most days and yet it never looked like this! 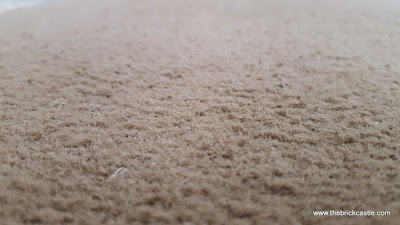 After 2 weeks we're actually finding we are still pulling up ingrained hair from our carpet, which shows the power of the AirRam K9, and is incredibly impressive. 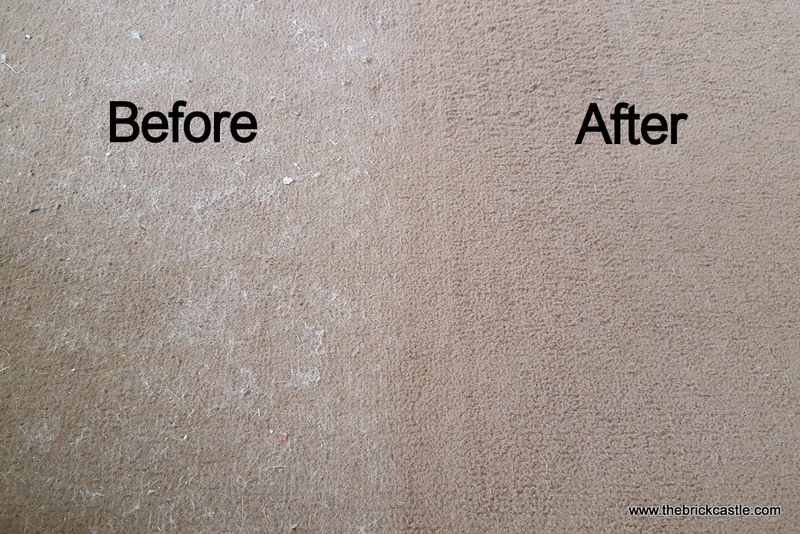 I haven't tired of using it at all, I genuinely am smitten, and I am still delighted when I see my carpet's true colour. 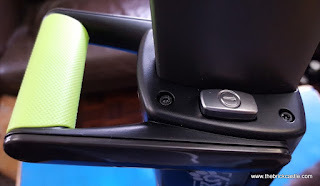 The only imperfection I can find with the Gtech AirRam K9 is that it could go slightly closer to the edge, but then that is a small price to pay, and we have also reviewed the Gtech Multi hand held vacuum, which is especially designed to deal with corners and angles and hard-to-reach places. 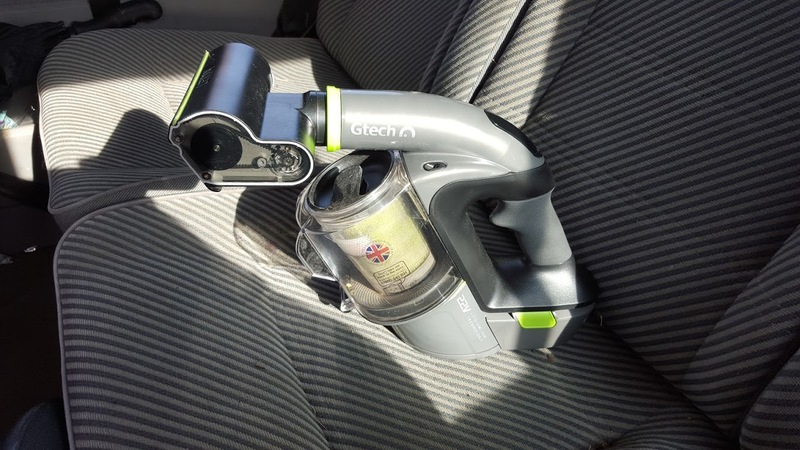 The Gtech AirRam K9 has an rrp of £249 and is available to buy now. A bundle deal with the Multi is £329. 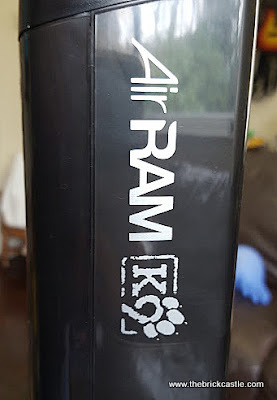 We were sent our Gtech AirRam K9 for review. Thats fab I cant believe how much hair its dragged up. I have the multi and love it. I wasn't aware of the K9 upright version, we have a 3 month old puggle pup and she is soo hairy! I am on the lookout for a new hoover and have to say I was a little wary about this type, I didn't think they would stand up to a 'normal' vacuum. 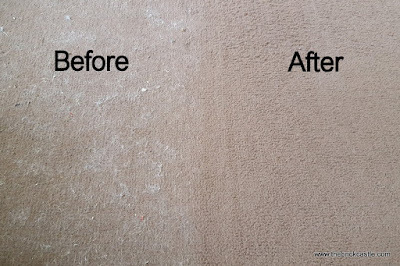 Your before and after picture says it all - it looks amazing! Will definitely look into one of these now! Knew you'd love it. It's fab, I wouldn't be without ours and even Daddy P loves it - that's a gold star rating here. Would love to try that hand held one - look forward to reading your thoughts. I'll post my review of the Multi in a couple of days. The AirRam gets a gold star from us too, truly brilliant. Your post is very nice. But I Think you can get more better Vacuum then this. Its also looks good. Would love to try that hand held one. Thank you for sharing your thought. This is a great review. This is a very good product. This post is very nice. I love the product. Thank you for sharing this informative post with us.